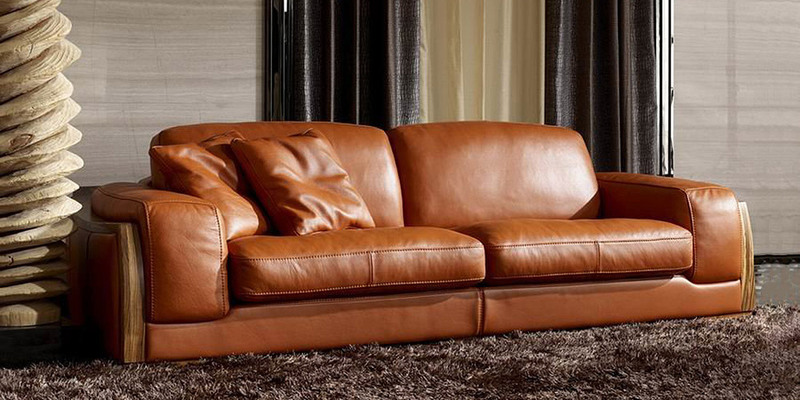 Big, gorgeous, neo-classic and jaunty leather sofa with timber frame and feet. You are sure to like Mountain due to its perfect comfort and sleek seats. 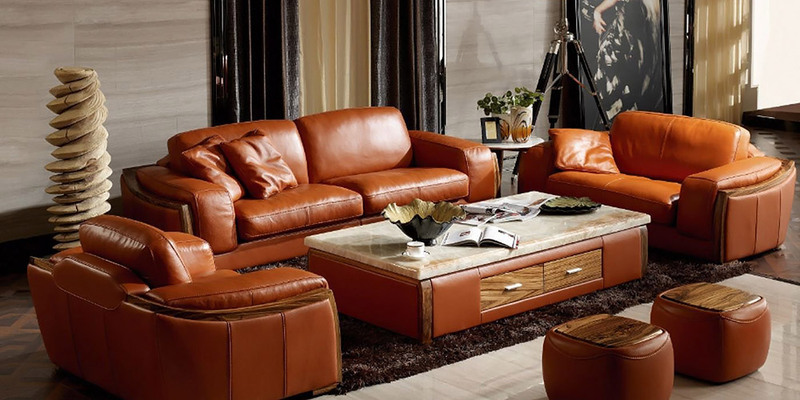 The leather in the picture is of high quality, of brown color. Appropriate for spacious places an all types of rooms, where you need to rest and relax. You can order Mountain in custom size and sectional size as well. There is a table with a marble top in the middle: size 47.2” x 70.9”, price $2860.